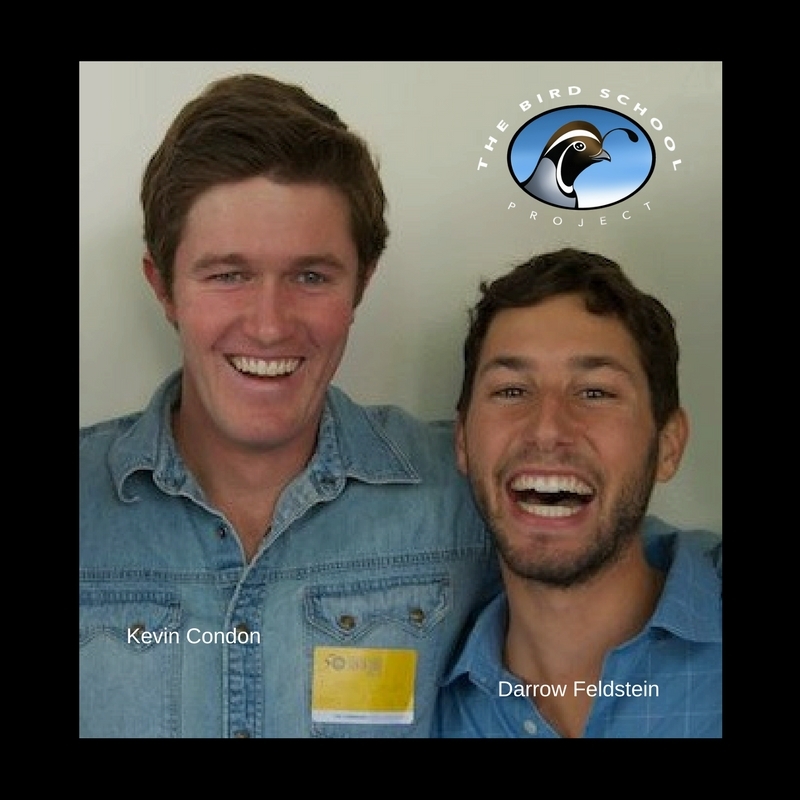 Meet the two men behind the Bird School Project located in Santa Cruz, California; Darrow Feldstein and Kevin Condon. Darrow and Kevin founded the Bird School Project in 2014. Both found a lasting connection to the natural world after attending a backpacking course for new students enrolled at University of California Santa Cruz (UCSC). After graduating they combined their lessons in experiential education and environmental sciences to dedicate their time and efforts to educating school age children and their teachers about nature, beginning with observing birds. They make learning about natural science fun through experiential learning; getting people outside to observe nature, ask good questions and journal about their experiences.